"Second Language Teaching in European Union and What can we do in Turkey?" A workshop held by The Federation of Private Education Institutions, Antalya, 22 April, 2017. "Teaching English in various contexts in Turkey." 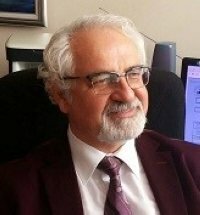 To what extent do the contents in the curriculm in ELT programs in Turkey meet the expectations? A workshop held by İzmir Economy University, 21 June, 2013. “Teaching Reading And Critical Thinking” a seminar by Kristina Smith, held by Pamukkale University, The School of Foreign Languages and Pearson-Longman, 22 February, 2011. "The 4th Administrators of School of Foreign Languages meeting." Cyprus, Eastern Mediterranean University, 21-22 October, 2010. “Vocabulary and Writing for Success” a course by Kristina Smith, held by Pamukkale University, The School of Foreign Languages and Pearson-Longman, 5 February, 2010. "The 3rd Administrators of School of Foreign Languages meeting." Gaziantep University, 5-6 November, 2009. "The 2nd Administrators of School of Foreign Languages meeting." İzmir Economy University, 13 February, 2009. “Quality Assurance Principles and Principles and Practice Necessary to Underpin the Delivery of City and Guilds Examinations,” a course by City and Guilds, held by Ankara TOBBUniversity, 16 September, 2009. Collaborative Classrooms and Teacher Leaders,a course by Susan Johnston and Bradley Horn, held by Pamukkale University, The School of Foreign Languages and The USAEmbassy,16-20 June, 2008. “Time Management.”A workshop held by National Productivity Center, Pamukkale University, 29 January, 2008. Total Quality Management Course by George Pickering, Teacher Trainer, Antalya, 15-17 May, 2008. The 2nd Annual Dünya Aktüel & Cambridge ELT Symposium, Antalya, 16-19 Mayıs, 2008. “Improving administrative skills.” A workshop held by National Productivity Center, Pamukkale University, 12 December, 2008. "The 1st Administrators of School of Foreign Languages meeting." Mugla University, 7 May, 2007. “Introduction for the 6th Framework program of the European Union Projects.” Agean University, 2003. ELT Conference on Language Teaching in Diversity and for Diversity. Maltepe University and Marmara Schools, İstanbul. 2003. EFL Testing Conference by Kari Smith, Muğla University, Longman, INGED and British Council, 2003. The 14th Linguistic Symposium, Çukurova University, Adana. 2000. “Accreditation in in-service teacher education” held by Trakya University and Higher Education Council/World Bank, National Education Development Project, Edirne, 1999. “Accreditation: A course for the education of the assessors” held by Higher Education Council/World Bank, National Education Development Project, Ankara,1999. “National Conference on the introduction of Higher Education Council/World Bank, National Education Development Project,” held by Higher Education Council/World Bank, National Education Development Project, Van, 1999. “Collaboration between Faculty of Education and Teaching Practice Schools,” held by Higher Education Council/World Bank, National Education Development Project, Ankara, 1998. “Accreditation on pre-service teacher education,” held by Higher Education Council/World Bank, National Education Development Project, Ankara, 1998. “Elements of an Accreditation Standards System for Teacher Education in Turkey,” held by Higher Education Council/World Bank, National Education Development Project, Ankara, 1998. “Foreign language education in secondary schools,” held by Higher Education Council/World Bank, National Education Development Project, Ankara, 1998.Ankara. 1997. The first Bilkent TEFL Reunion Conference: Principles of ELT in Turkey. Bilkent University, TEFL, Ankara, 1997. Çukurova-USIS ELT Conference: Incorporating the 1990’s Focus on Language Learning Strategies: A Look at Materials Adaptation and Materials Development. ÇukurovaUniversity-USIS, Adana, 1993. The 5th Linguistic Symposium, Dokuz Eylül University, İzmir, 1991. The 11th All-Turkey English Literature Seminar: “Literature in the classroom.” Çukurova University, Adana, 1990. The 4th Linguistic Symposium, Boğaziçi University, İstanbul, 1990. The Marmara University, Preparatory Schools Conference. Marmara University, İstanbul, 1989. The 21st Annual International TESOL Convention in San Antonio, Texas: Current Trends in Teaching English as a Foreign Language and The Implication for Prep and Service ProgramInstructors. Anadolu University, 1989. “Acquisition of Word Order in Turkish.”A seminer held by ELT Department, Çukurova University, Adana, 1988. The 3rd Linguistic Symposium, Çukurova University, Adana, 1987. “Highlights of TESOL’87” The First National English Language Teaching Symposium. Çukurova University, Adana, 1987.